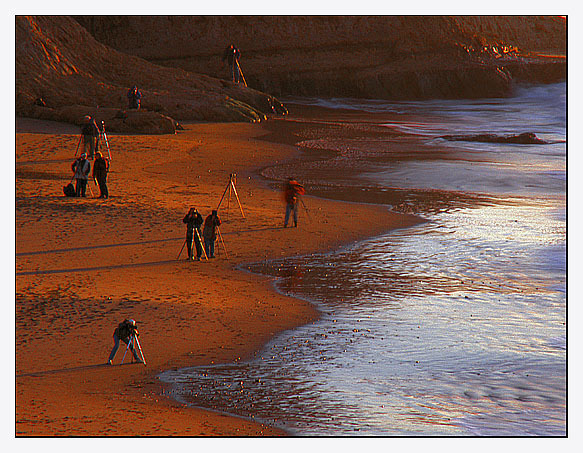 Photo "Photographers at work in the early morning"
In a cold morning a group of photographers work in a beach at Point Reyes National Seashore, California. I didn`t realize it was such a popular sport in California! All I ever saw there was surfers! Great capture!!! Congrats and regards. I like the image but you oversaturated the colors too much. Excellent capture of this scene with a gold light Fausto, regards! My admiration!!! I take it! Excellent picture from your country.